V-Kasi Catering is a new catering service in Raahe and Kalajoki area. 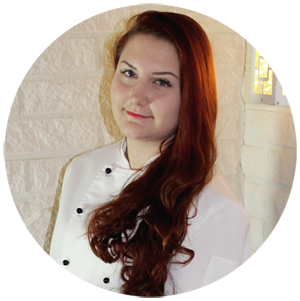 I am Elina Vetoniemi and I graduate from Tourism College of Lapland in December 2015 as chef. My dream has always been to engage catering and making Good pastries. I will try to prepare the services provided from locally produced raw materials. I'll start a catering service on a small scale layer cakes, sandwich cake and cocktail pieces to cook. My aim is to create tasty culinary experiences. When planning meetings, evening gatherings or small-scale family reunions so I have to be there at the beginning of planning a dream come true feast. See our price list. If you can not find the desired product, so is made as to design, tailored to catering, to suit your preference according to. The products have to fetch the prices, the transport will be charged separately by arrangement. Our business focuses on Kalajoki and Raahe coastal area.